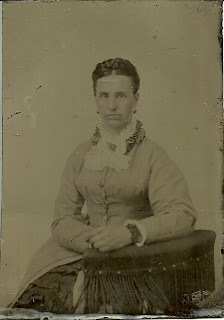 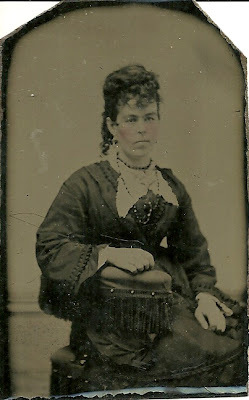 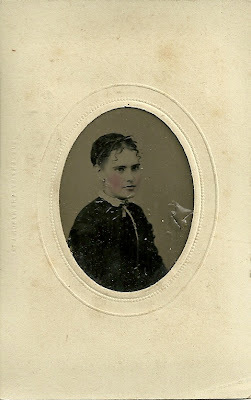 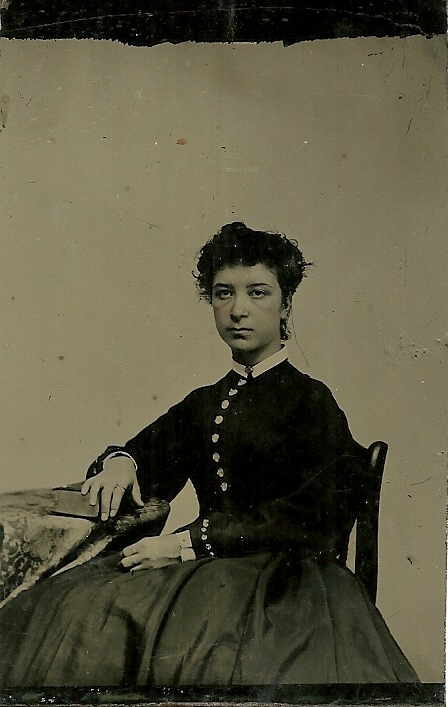 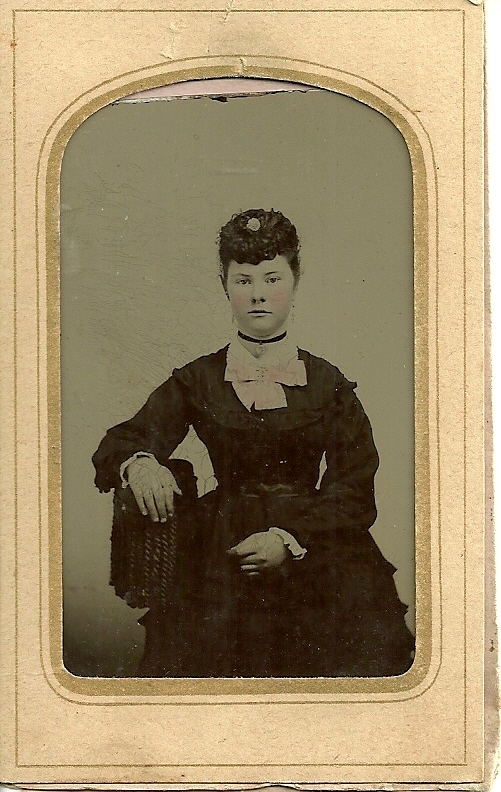 Thirteen more tintypes in the collection purchased at a Bangor, Maine show in 1990. 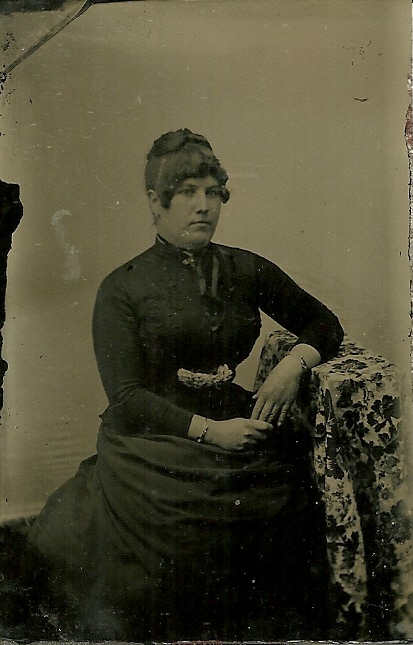 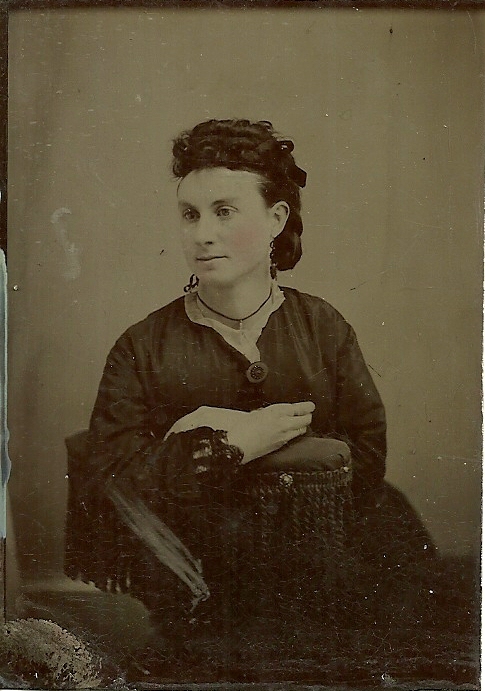 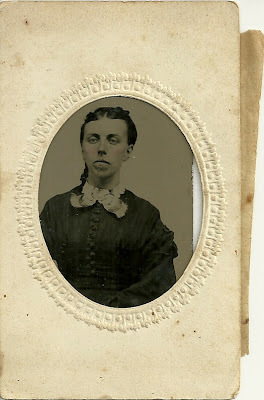 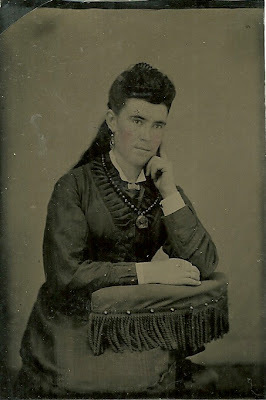 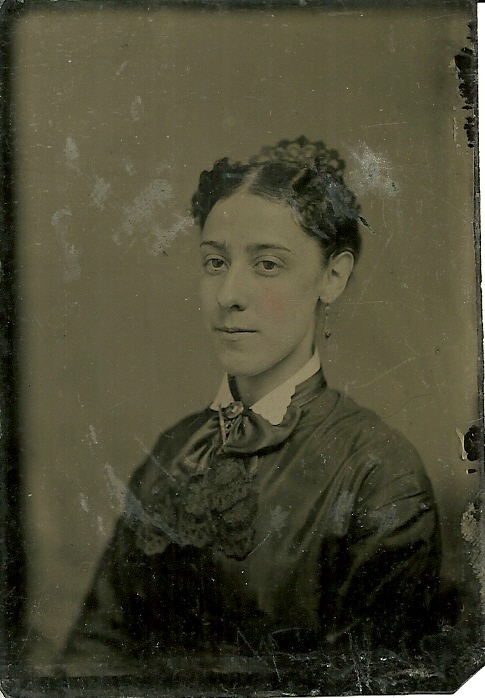 There are about fifty tintypes in all of women, men, couples, groups and children, many of the people showing a family resemblance. To see more in this collection, check the blog archives for November of 2010. 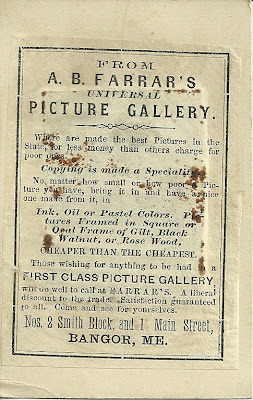 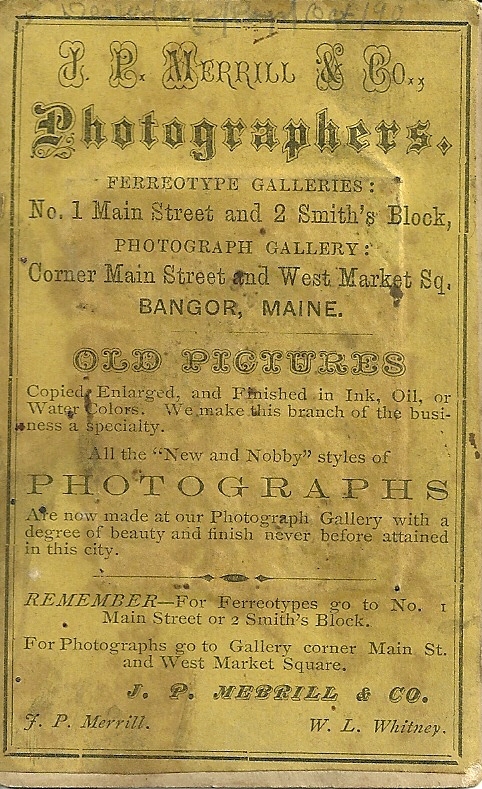 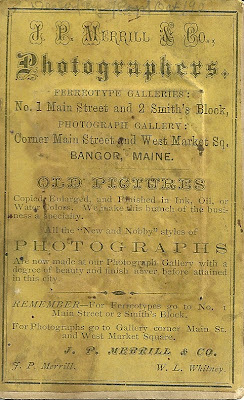 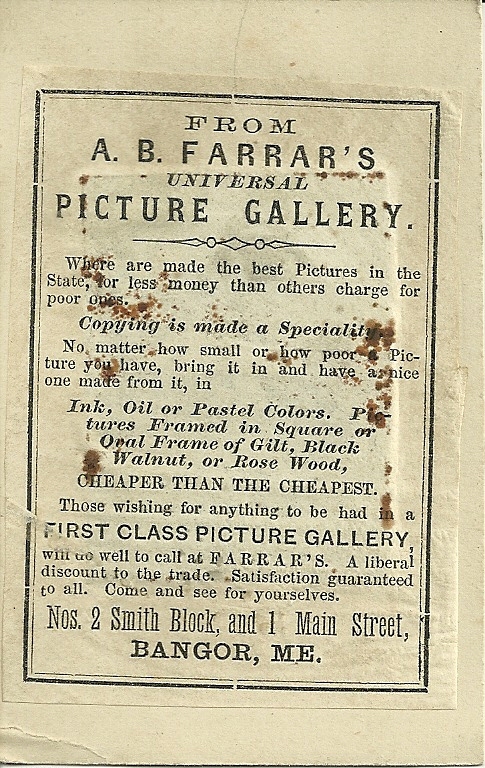 Two of the tintypes have a backing that identifies two Bangor, Maine photography studios. 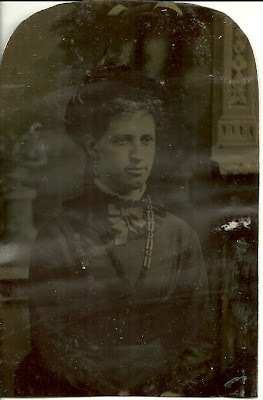 Here are the other twelve ladies. 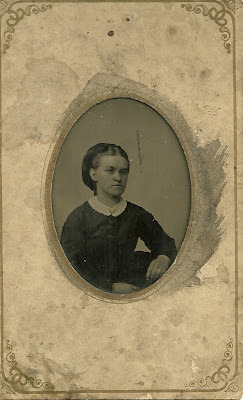 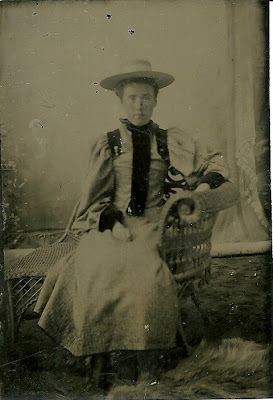 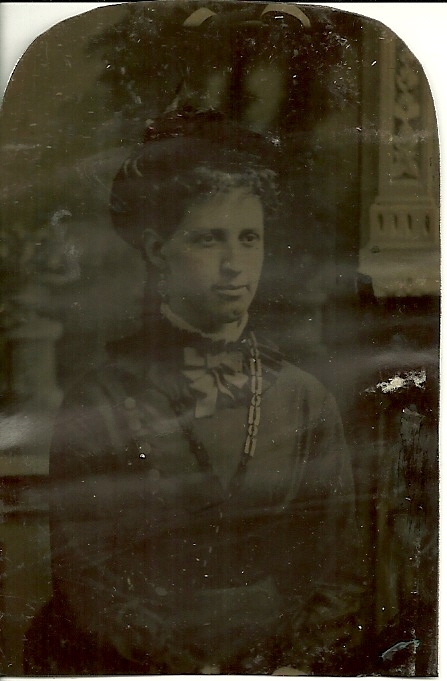 If you recognize any of these women from your family albums, please leave a comment or contact me directly.